Right, so basically what I want is the HL2 menu carried over to Left 4 Dead so that when the user presses the "New Game" button the user selects a map and it loads instantly. It's for a mod I've got going on developing, any help would be most appreciated, thanks. You can't make L4D mods, just map packs. The code isn't released. Okay, if I make a HL2 mod is it possible to put the L4D AI (as in infected) into HL2? You know, you really should get this stuff resolved before you even begin planning anything, let alone working on core design. To my awareness it CAN be done, as the Infected have been successfully ported to TF2 and Gmod, but that's little more than models, animations and general behaviour, most of which will involve some serious code work and a real grind of moving stuff from a newer codebase to an older one. It's port, port, port. You won't get the Director across either, so you'd also have to create spawning parameters (e.g. brush based spawns) unless you intend to spawn every single zombie individually via Hammer. Everything will have to revolve around this. It's a real damn chore to my awareness and will take a great deal of time even for an experienced coder - if anyone can confirm that I'd appreciate it. Edit; although, thinking about it, if you get a really boss coder it could probably be done in good time. Lemme think of the easiest way. Basically I just need to change the L4D menu into something like the HL2 menu, would that be easier than porting the L4D AI to HL2? I think it would be. Also, yeah that's exactly what I'm doing, just trying to find out if some of the stuff I want in the mod is possible. D.E.L.B. wrote: Basically I just need to change the L4D menu into something like the HL2 menu, would that be easier than porting the L4D AI to HL2? I think it would be. Gameui is a far better menu system than HL2's by the way. Or alternatively deleting the menu buttons i.e. "Mutation," "Realism," "Versus," e.t.c. and just having "Play Single Player" and the extras like Options and Add-Ons. yes I understand what you want to do, but you can't do that within L4D/2. You would need to mount the content into an Alien Swarm mod to even be able to mess about with gameui if you want the desired HL2 look. What if I keep the GameUI layout and just delete some of the buttons instead and possibly rename them, would that work without having to go through the trouble of getting the HL2 look. But you would need access to the L4D2 code, which is not provided. Therefore it is not possible. Unless you mounted all the content into ASW, which has the source code for gameui & the ability to allow you to make mods from it, but that's going to be a dickpunch of a hassle to do. Arma stated it clearly enough in the very first response. 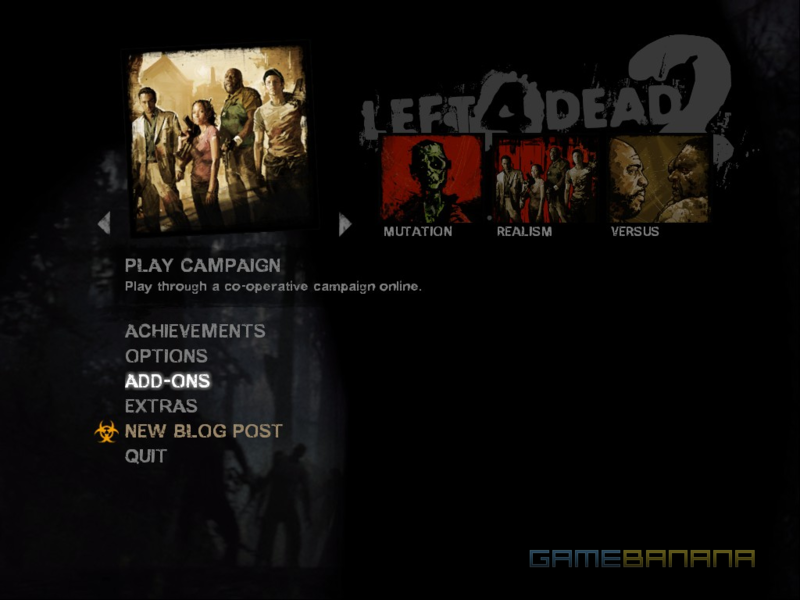 This is possible, open up the L4D2 VPK and extract resource/ui/l4d360ui/MainMenu.res. This is the file you want to modify. 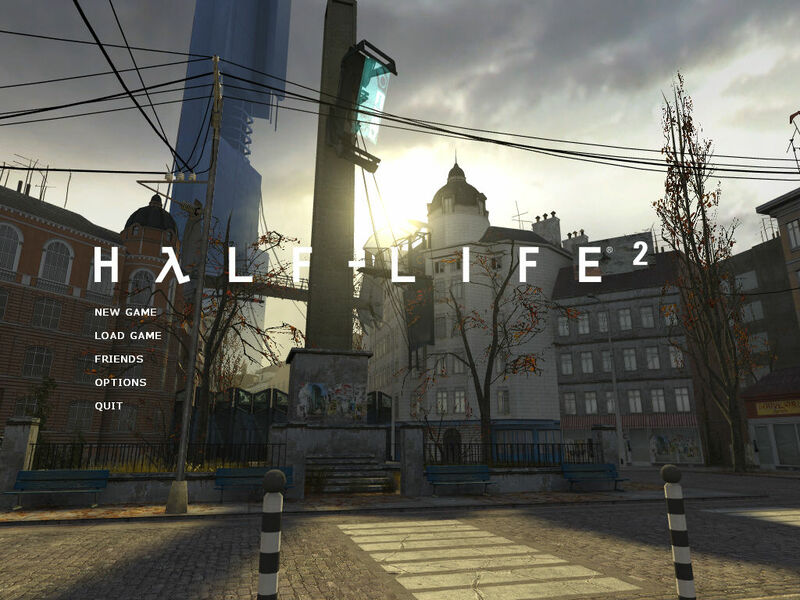 In fact, you can probably drop the HL2 main menu file directly over the L4D2 one, it would surprise me if the "New Game" dialogs had been removed from the code completely. Experiment, but realise that you're probably one of the first people to ever do this. Would I have to create a new VPK file to put in the add-ons folder for this to work? Also, where is the HL2 "MainMenu.res" located?